It’s time to demonstrate the new workflow and technology created especially for cross-laminated timber (CLT). In this webinar about CLT, you’ll see how to create CLT panels for walls, floors, and roofs by using AGACAD’s Wood Framing software and sample families, distribute details, and even design ventilated facades! In June we hosted a webinar on generating shop drawings and inserting connection details for precast projects in Revit. Here's a quick look at what our engineer showed. Don't forget that recordings of all our webinars are posted on our YouTube channel. 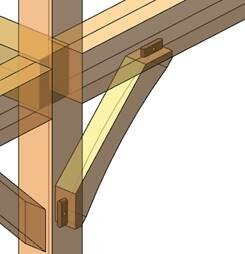 Thanks to all who attended our webinar on framing heavy timber and post-n-beam structures in Revit. For those who missed out – or who liked the live webinar so much that they want to see it again! – head on over to our AGACAD webinar playlist on YouTube. While there, please subscribe to our channel. What did this webinar cover? Setting up configurations and standards for creating wall, floor, and roof frames using heavy timbers. 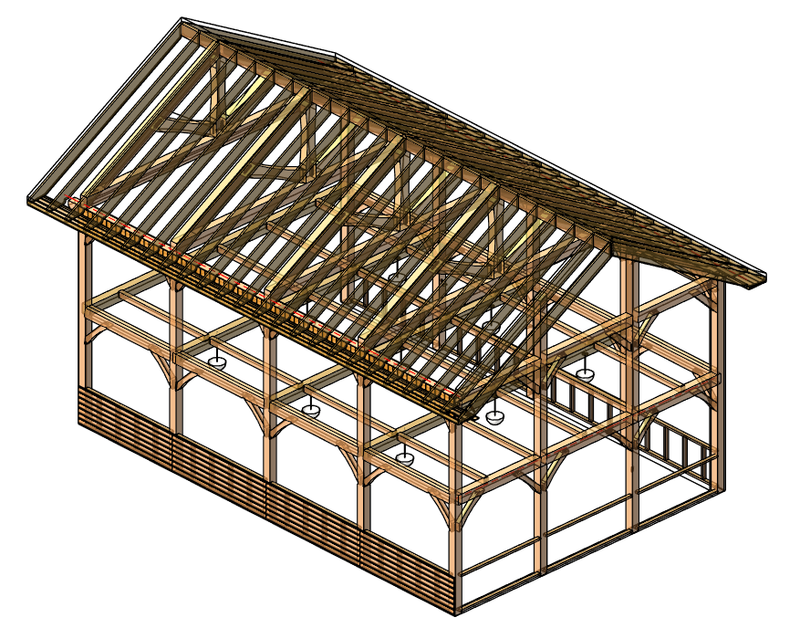 Auto-generating truss framing and defining detailed, multi-layer rafters in a snap using fully customizable rules and templates. Distributing & managing details for creating connections with cuts common for oak frames using Smart Details. 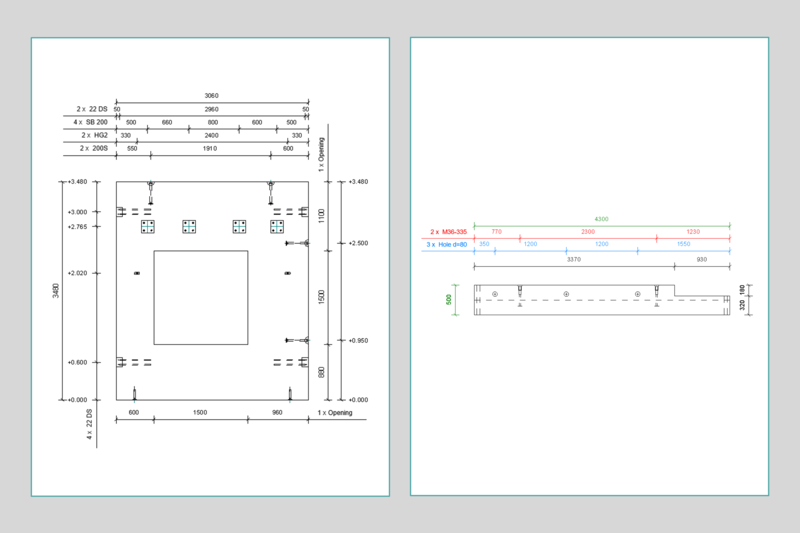 Preparing shop drawings and cut lists with all required views and where elements are dimensioned, sorted, tagged, scheduled, and mass is calculated. Exporting elements and details to a CNC machine or CAD/CAM production line. This week Precast Concrete, Wood Framing Floor & Metal Framing Floor were added to the Autodesk App Store. 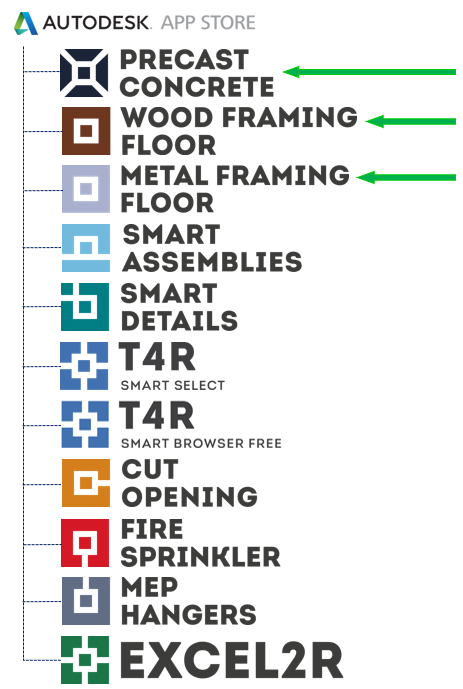 The tools above can be downloaded either via the App Store or via our TOOLS4BIM Dock (download here on our website). The free tools (e.g. Smart Browser Free and Smart Select) have no limitations. Trial versions of other tools have no limitations for two weeks and include support during the trial period. Have a go, and may your Revit tasks be simple and lightning quick! A BIM modelling and consulting firm in the Netherlands has found big added value in the unique features of AGACAD’s suite of tools for precast concrete work in Revit as well as in the company’s ongoing expert support. BIM4ALL B.V. is an innovative BIM services and consulting firm based in Rijssen, the Netherlands, a home to prominent construction companies. It works on a wide range of projects for buildings, utilities and infrastructure. What's the latest building style you can frame with AGACAD‘s Framing software for Revit? Heavy Timber and Post-&-Beam structures! The new Wood Framing Oak software is powerful and flexible, automating the design process for even the most complex and unique structures – it’s just a matter of figuring out a workflow and required families. We've already covered multi-layered timber frames and frames with SIP panels for walls, floors and roofs, high-quality ventilated facades, and architectural curtain walls with highly detailed elements. So now it's time to move on to framing with massive timbers. We invite you to join our webinar! You’ll see the technology for creating heavy-timber-framed walls, floors and roofs using our Wood Framing Oak software and sample families. You’ll also see how to distribute and manage details for creating connections with cuts common for oak frames using Smart Details and, finally, how to prepare shop drawings, cut lists, and even export wood elements and details to any CNC machine and CAD/CAM production line, such as Hundegger, Weinmann, etc. Thanks to all who attended our webinar on generating shop drawings and inserting connection details for precast projects in Revit. For those who missed out – or who liked the live webinar so much that they want to see it again! – head on over to our AGACAD Precast Concrete video playlist on YouTube. While there, please subscribe to our channel. Tweaking the position, depth, and rotation of selected views. Updates for dimensioning hosted details. Generating shop tickets with auto-dimensions. Handling connection hardware families and their configurations. In this webinar we'll concentrate on NEW FEATURES that have been added to Precast Concrete, specifically, generating shop drawings with Smart Assemblies and inserting connection hardware with Smart Details. In the new version of the Smart Assemblies module, you'll see how to work with assemblies that were already created in Revit, how to tweak the position, depth, and rotation of selected views and place legend views. 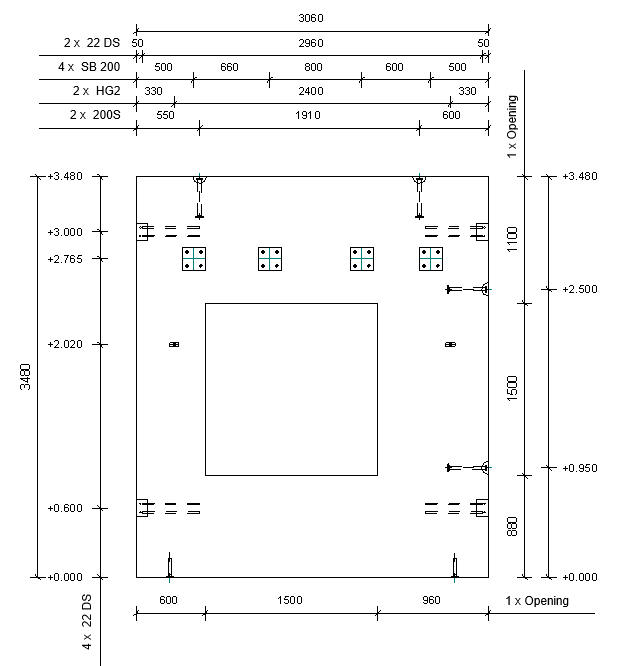 And most impressive – updates for dimensioning hosted details. As for the Smart Details tool, new features allow for better handling of configurations and connection families, so we’ll see those as well in this webinar. Ideal for structural engineers, designers & drafters, BIM modelers & detailers, and CAD engineers & technicians. The features in this webinar will help our precast clients – firms in building design & engineering, consultancy, and manufacturing all over the world save copious amounts of time on shop drawings. Great news for users of our ROOF framing software – Cut Opening is now an included feature! 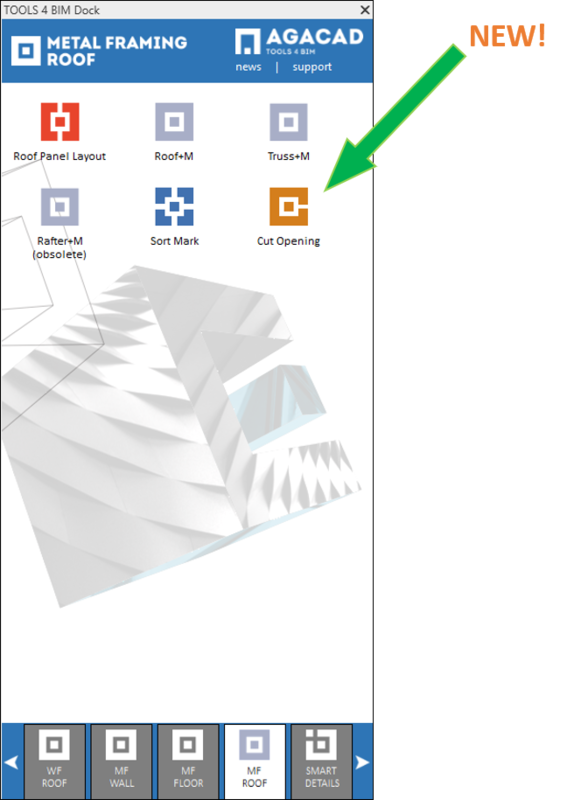 Cut Opening is extremely useful because, before you frame a roof automatically with Roof+, you need to have openings for fire safety components throughout your Revit model where ducts, pipes, cable trays, and conduits intersect with the roof. And Cut Opening makes all those openings for you. Whether you use the wood or metal roof framing BIM Solution, Cut Opening will be provided for no extra fee to existing clients. Current clients who want to utilize Cut Opening in their roof framing work, please contact us for a new activation code!